Exploring Big Ideas. 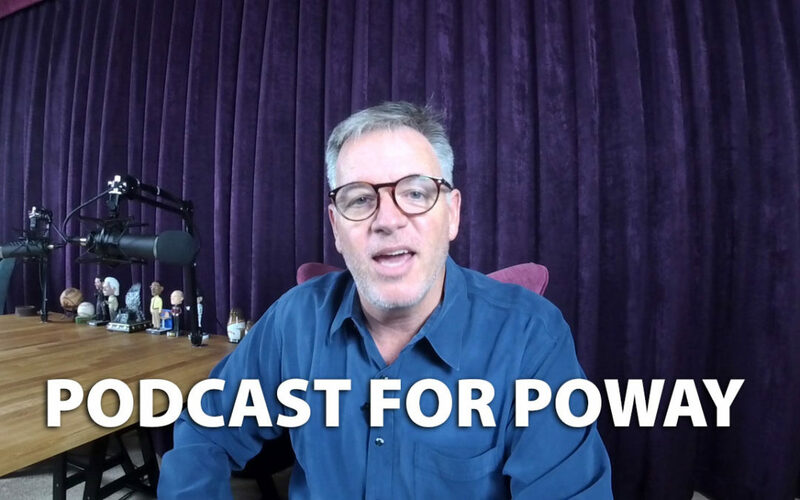 Inviting guests to join the podcast: political candidates for Poway City Council, PUSD school board, Poway Mayor, local entrepreneurs, community activists, athletes, coaches, superfans, authors, journalists and more. Exploring topics such as transforming Poway Road, Poway City Council campaign, Poway mayoral campaign, Poway School District campaign, Airbnb, Kavanaugh, Sasse, School House Rock, Padres, Poway history, high school sports, Poway Titans, Rancho Bernardo Broncos, Del Norte Nighthawks, Westview Wolverines, Mt Carmel Sun Devils.